Obituary for Jerry Lee Karriger | McKee Mortuary Inc.
Jerry Lee Karriger, 77, North Manchester, Indiana died at 8:05 a.m. Monday, March 18, 2019 at Autumn Ridge Rehabilitation Center, Wabash, IN. He was born at Anderson, Indiana on March 12, 1942 to Estel L. & Dorothy B. (Parker) Karriger. He is survived by two sisters, Carolyn (Lawrence) Allison, North Manchester, IN and Sandra (Spencer) Lovelady, Marion, IN. An uncle, Maurice Karriger and two cousins, Jody (Gary) Van Slembrouck and Jeff L. (Jane) Karriger. A sister, Nila Steelman is deceased. Jerry earned his BS degree in Business Technology from Detroit Institute of Technology in 1979. He was a machine repairman with IBM for 20 years. He also was educated in engineering and business administration. He had a passion for genealogy research and was a HAM radio enthusiast. Jerry's love for the outdoors took him hiking, fishing and skiing. He also had worked in several ski resorts and convenience stores. 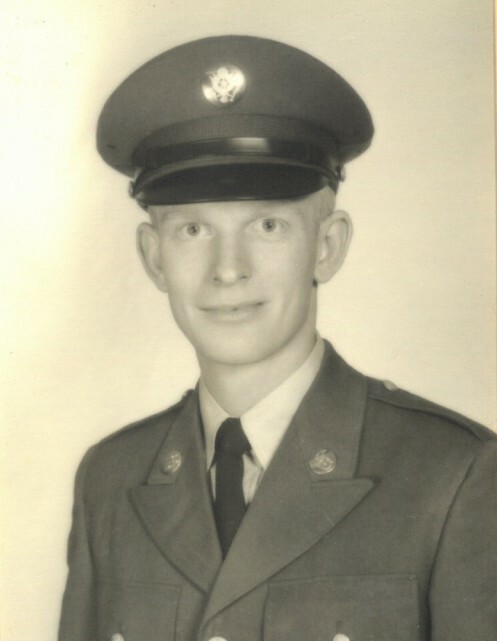 He faithfully served his country in the United States Army from 1963-1966 as an artillery surveyor, serving in Germany and Vietnam. A graveside service and burial will be held at a later date at Friendship Township Cemetery, Harbor Springs, Michigan. Arrangements are entrusted to McKee Mortuary, 1401 State Road 114 West, North Manchester, Indiana.